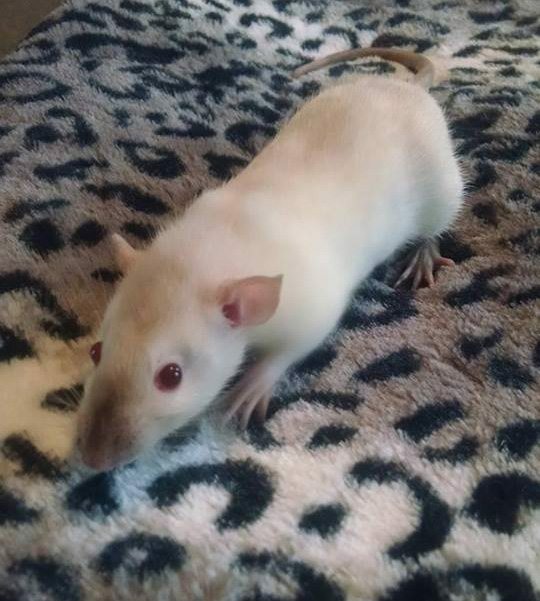 Can anyone give me an idea of what color this little girl is? She is all white except this masked patch. It is very light. Her mom was siamese and her dad was blue. She is a marked siamese. As she gets older and moults, her coloured face will become paler and the point on her nose will darken. She has a completely white bum, I thought they needed points on their nose & bum to be siamese? As she is marked (masked), the white of the marking will cover up her other points. 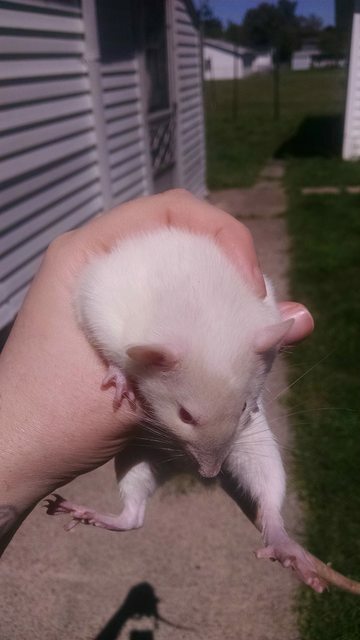 The same as a black masked rat - you can't see the black on their bum because the marking (white) is overlaying the colour. 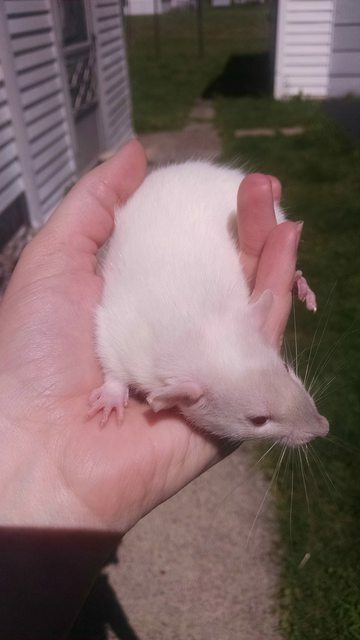 My little Siamese boy looked just like that a month ago. He had the cutest little fawn coloured mask and pretty much no Siamese points at all. 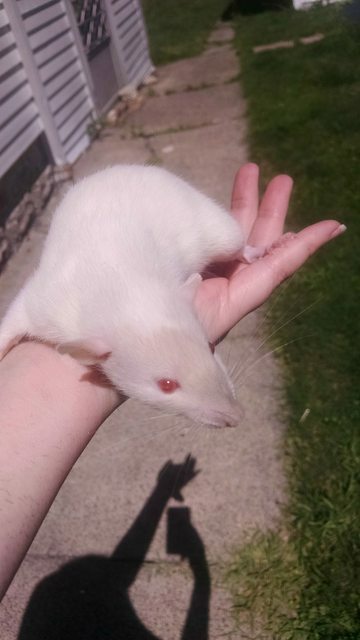 Now his whole body is cream and he has proper big boy Siamese markings on his nose and bum. I love seeing them change as they grow. My little Berkie baby has developed the most amazing silvering. Although I wouldnt have minded if the mask had stayed! 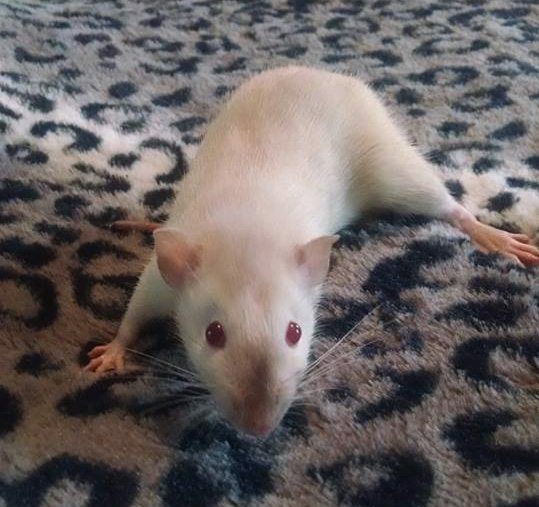 Introducing the rat boys: Mr Pickles, Spider and Master George (chief trouble maker).